Tobacco, alcohol and gambling corporations have been highly effective in stalling, diverting and blocking public health measures. This book provides an original and engaging expose of the ethical issues faced by people and organizations when they accept industry money in ways that facilitate corporate influence with the public and with policy makers. 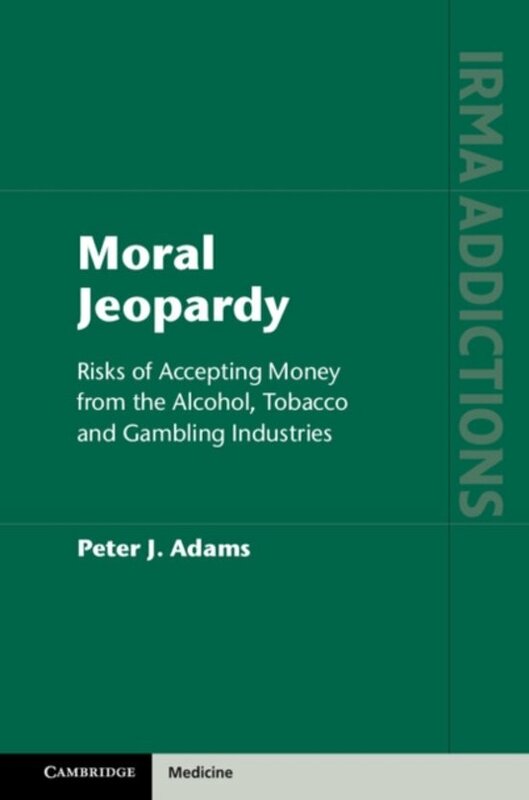 It starts with a detailed examination of the risks of accepting such profits and what might be done to reduce them, then moves on to introduce the concept of a continuum of 'moral jeopardy' which shifts the emphasis from accept/not accept binaries to a focus on the extent to which people are willing to accept funding. This shift encourages people to think and speak more about the risks and to develop clearer positions for themselves. The content will be helpful to those working in government agencies, addiction services, community organizations or anyone interested in reducing the harms of addictive consumption.